This is from a new book of essays by Weinberg. I haven't read it yet, but it got a great review in Physics Today, who called it "a delightful collection of essays for the general reader." 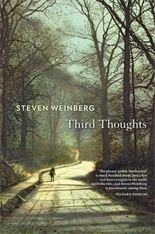 They wrote, "Weinberg often hits the nail right on the head."